Capture their hearts in Damas 52388. This sweet, knee-length dress, features an illusion, V-neckline, with sheer cap sleeves, over an opaque sweetheart bodice. The bodice has a lace-up closure, beneath the round cutout, on the back. The bodice is covered in glimmering sequins, for a magical touch. The short, pleated, A-line, chiffon skirt, has a ruched, cinched, waistband, which pulls the whole look together. 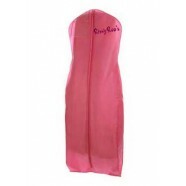 Flirt with your crush in this dress at a Sweet 16, winter formal, homecoming dance, or Quinceanera.